Minaj is fabulous on ‘American Idol’ this season. 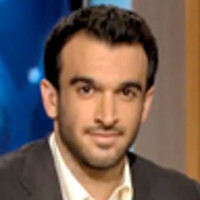 Too bad the show is so terrible, says Ramin Setoodeh. If you are one of the few Americans still watching American Idol please accept my condolences. The only way the Fox reality juggernaut, now in its twelfth season, could be any worse is if the producers asked the cast of Glee to audition. Many of the “Final 20” contestants who performed this week wouldn’t have made it through the first round of The Voice, the NBC knockoff that outshines Idol with its hipper panel of judges, including Adam Levine and Blake Shelton. But despite all these problems, there’s at least one part of American Idol that still shines like a superstar. And that’s Nicki Minaj, the show’s greatest discovery since Chris Daughtry (or maybe Carrie Underwood). I have no idea if Minaj was a diehard Idol fan, but her yapping persona is like a mashup of all the other memorable judges from seasons past. She’s both as nasty as Simon Cowell and as loopy as Paula Abdul (as Rolling Stone TV critic Rob Sheffield has pointed out, calling her “the best judge American Idol has ever had”). She axes the terrible contestants while still soothing them, flashing that sweet J.Lo smile, for the sake of our entertainment. And her style, a collection of neon-colored wigs and glitter everywhere, tops Steven Tyler in the drag queen department. At the rate the show is going, to hell with the rest of the panel. It should just be Nicki at the table by herself. It’s a shame that Minaj doesn’t sit at the end, because she’s become the voice of authority on the new Idol. During the finalist rounds, Minaj told one nervous contestant that if she had her way, the contestant would make it through, before revealing the truth—that Queen Nicki always gets her way. Forget about the Ryan Seacrest-Simon Cowell banter that used to serve as filler between all those Celine Dion and Whitney Houston ballads. Minaj is funny on her own. Whenever there’s a dull moment (and there are many of them), she switches into her faux-British Madonna accent and plays with her fake hair. The only downside to having Minaj on Idol is how bad she makes the other judges look. Unlike The X Factor or The Voice, Idol has always done better with three judges—not four. Jackson, who has been on autopilot for years, seems especially unnecessary; his only job is to act as the border between two warring nations. As we all remember, Carey and Minaj engaged in a screaming match last year that leaked online, which prompted talk of extra bodyguards and fed the Idol publicity machine. Ever since then, Mariah won’t even acknowledge Nicki in her critiques, and she acts like she’s on a different show (that nobody watches) costarring her and Randy. That’s a silly move for Mimi. If Idol wants to save itself as ratings continue to collapse, producer Nigel Lythgoe needs to seat his two divas next to each other. They’ll either make up or kill each other—and neither option would be so bad. I do think that Mariah has the potential to be a more charismatic judge than the performance she’s delivered, with all her energy focused on this season’s All About Eve. Every time Nicki speaks, Mariah just looks stiff and annoyed at the realization that she’s being upstaged. The contestants must know how that feels. Who are they again?